Chicken Farmers of Ontario (CFO) has announced a portfolio of new programs that will support expanded business opportunities for chicken farmers and offer Ontario consumers even more choice in accessing locally grown chicken. 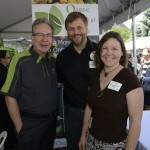 The new business opportunities were developed following the Board’s recent public and industry ‘Allocating Future Growth’ consultations, and include an Artisanal Chicken Program which will appeal to smaller, independent, family farmers looking to support local markets. The new CFO programs were developed following six months of extensive public consultations during which the Board and its Team Ontario partners solicited input from farmers, the chicken processing sector, the retail food industry, members of the public and government stakeholders. CFO is focused on finding new ways to support the growth of a local chicken industry, increase job opportunities across the province and ultimately to provide fresh ideas to grow Ontario. For more information on the Artisanal Chicken Program CLICK HERE. 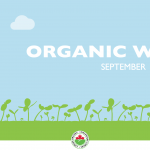 Celebrate Organic Week with us!